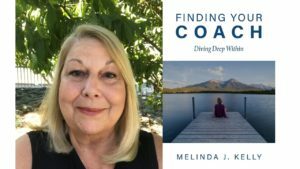 Finding Your Coach Diving Deep Within looks at the traits and tendencies each of us bring to any relationship, asks how you process and accept information. If you are doing it in one area of your life, odds are you are doing it in others too. As much as we want the problem to be them, sometimes we have to consider it could just be us. Armed with all this wisdom, where then are we going? Success? Happiness? They are not necessarily together, but if you know what you want, you might just get it. It is one thing to be a talented speaker and prolific writer, but that doesn’t always translate to being an excellent coach and mentor. Cathy Fyock is that rare being who shares her extensive experience and knowledge empowering other writers to find their voice in their own authentic time and way. Cathy listens to your dreams and then helps you stay true to them, mentoring, cajoling, and never being anything less than honest and true. Your book will come to fruition, and on your journey along the way will have enriched your life and expanded your possibilities. All done while cultivating and crafting your book.